Miniature Flag pillow 1 1/4" x 2 1/4"
Flag pillows! Everyone needs one right? I have big ones on my bed ad couch at home and Jew I had to make some for my little Americana decor in y little rooms. 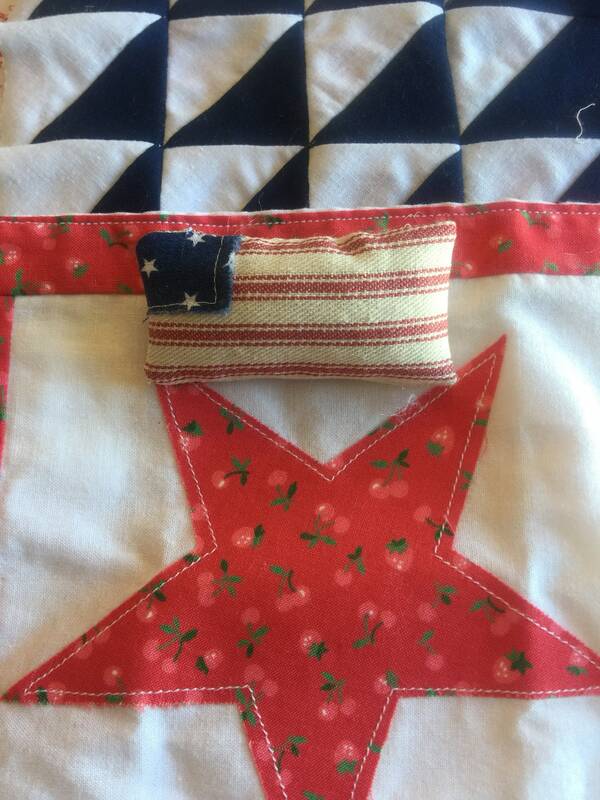 This Flag Pillow has a rustic feel with the red and cream ticking and navy fabric with stars on it. 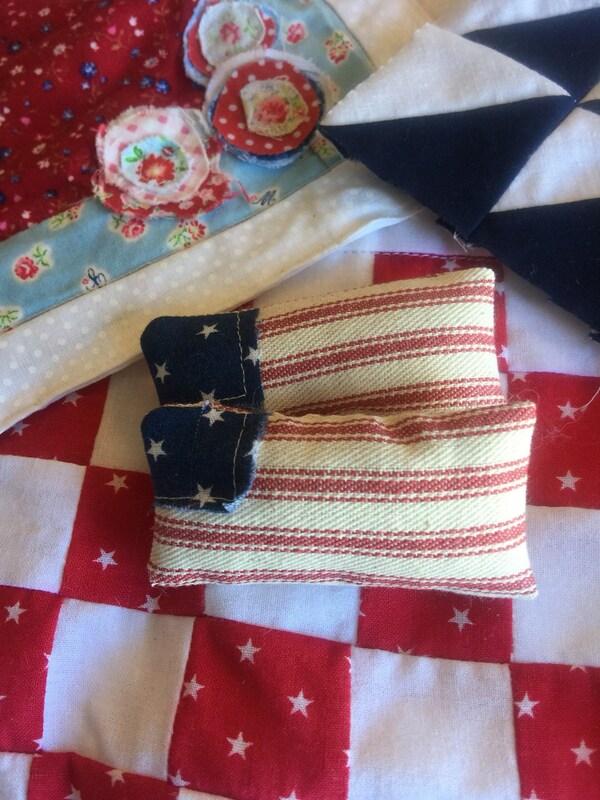 Such a sweet little flag pillow! It looks perfect on my dollhouse bench - I love it! Just as described, it arrived quickly and safe and sound. Thank you.